Does MACRA leave small physician practices behind? 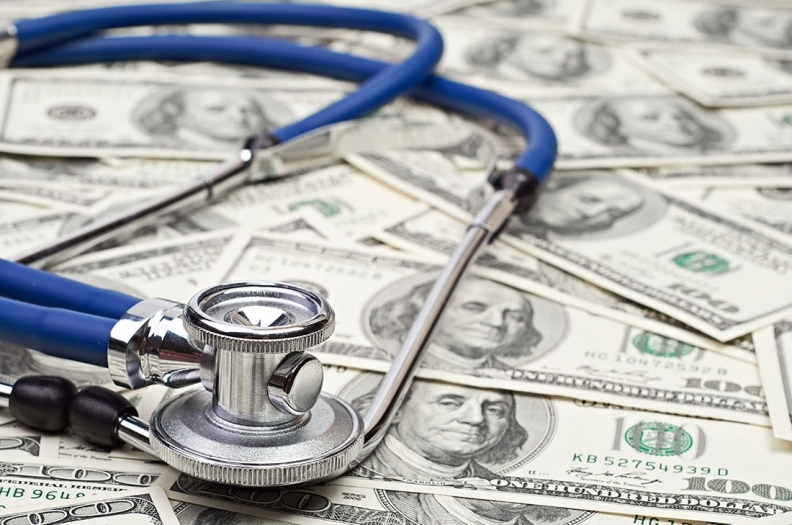 The CMS' attempts to reduce regulatory burden on small practices by exempting them from new Medicare requirements may actually leave them behind in the transition from fee-for-service to value-based care, providers say. Earlier this summer, the CMS proposed that physician practices with less than $90,000 in Medicare revenue or fewer than 200 unique Medicare patients per year would be exempt from reporting under the Merit-based Incentive Payment System under the Medicare Access and CHIP Reauthorization Act starting in 2018. The move will exclude about 134,000 more providers from complying with the quality reporting program. The original threshold for exemption, which is in place for 2017, is $30,000 or fewer than 100 Medicare patients. CMS officials claimed the change stemmed from many practices' concerns that they didn't have enough Medicare patients to justify the cost of overhauling their electronic health record systems or buying new ones to track and report quality measures. Collectively, 934,000 providers would be exempt from MIPS if the new low-volume threshold is finalized. But the change goes too far in attempting to ease burdens for providers, according to reactions from providers and industry groups that filed negative and mixed comments on the proposed rule by Monday's deadline. Several went as far as to ask the agency to cancel the proposal altogether. The Health Care Transformation Task Force, which represents providers that support the move to value-based care, criticized the proposal for giving too many practices a pass on the quality-improving and cost-lowering initiative. The National Rural Accountable Care Consortium, which represents 253 hospitals, said the proposal actually puts these practices in harm's way. MACRA replaced the physician payment updates under the sustainable growth-rate formula, which clinicians were paid under for years. Under MACRA, physicians would not receive an annual raise from 2020 through 2025 and their reimbursements will not keep pace with the average rate of physician cost increases. Without MIPS and its financial incentives, small providers may find themselves in a pinch. Medicare trustees, who oversee the financial solvency of the federal program, raised similar concerns last month in their annual report, noting providers may be forced to withdraw from Medicare if they go years without a raise. Larger health systems also came out against the proposal because it narrows the pool of providers participating in MIPS and, in turn, decreases the amount of bonuses that can be paid out. "The intention of (MIPS) is to incorporate as many Medicare Part B-eligible clinicians as possible with opportunities to succeed," Brian Vamstad, manager of government relations at Gundersen Health System, an integrated healthcare organization serving counties in Wisconsin, Minnesota and Iowa, said in a comment letter. "We feel that this proposed modification to eligibility criteria will only make it more difficult for clinicians and groups to perform well and be meaningfully rewarded in MIPS." Some doctors are worried the belated policy change will mean that those ready to comply with MACRA won't get a chance to do so. Exempted providers under the low-volume threshold are prohibited from participating in MIPS even if they want to do so. "As the healthcare system moves from volume to value, it is important that smaller practices receive assistance and education in achieving the goals of value-based care, rather than be excluded completely," Barry Arbuckle, CEO of the five-hospital MemorialCare Health System based in Southern California, said in a comment letter. If the proposal is finalized, the AMA wants the CMS to alert exempt practices before the end of the year. Some providers didn't receive notices that they were exempt from the current low-volume threshold until five months into the first reporting year under MACRA. "The delay of low-volume letters for the 2017 program left many confused and potentially unprepared to meet the MIPS requirements," Dr. James Madara, CEO of the association said in a comment letter. Provider notification for 2018 will be even more important since some participants who reported in 2017 may not realize that they now qualify for an exemption, Madara said. The American Medical Association, the Health Care Transformation Task Force and others are also pushing the CMS to allow exempt physicians to voluntarily opt-in to the MIPS program in future years, as many newly exempt practices have already invested in MACRA compliance. "Clinicians who made investments and preparations to participate in MIPS during the transition year should not lose out on the opportunity to earn a positive payment adjustment in 2018," the Health Care Transformation Task Force said in its letter (PDF).